New Bedford will make an appearance in the next edition of the Dickson Baseball Dictionary and be noted with a first. The Dictionary is an amazing piece of work that any baseball fan would love. It contains over 7,000 entries of baseball definitions along with cross references, illustrations, etymology, notes and first usages. The first that New Bedford is associated with is the earliest known print use of the phrases “New York Game” and “Massachusetts Game”. The Base Ball Club recently formed in this city, is progressing finely. Its members met on the City Common at 5 o’clock Monday morning, and had a very spirited game. They have assigned Monday and Wednesday mornings, at the hour mentioned, and Friday afternoons at half-past 4 o’clock, as the time for practice. The manner of playing is the New York mode, and not the one usually adopted in Massachusetts. A number of seamen, now in port, have formed a Club entitled the “Sons of the Ocean Base Ball Club.” They play on the City common, on Thursdays, and we are requested to state that the members challenge any of the other clubs in the city to a trial either of the New York or Massachusetts game. I was surprised to learn that I had discovered the first known use of the phrases. I’m sure the phrases were not invented in New Bedford. But where did New Bedford hear of them? Where and when were they first used? The early usage of the phrases may help explain how the New York game spread. 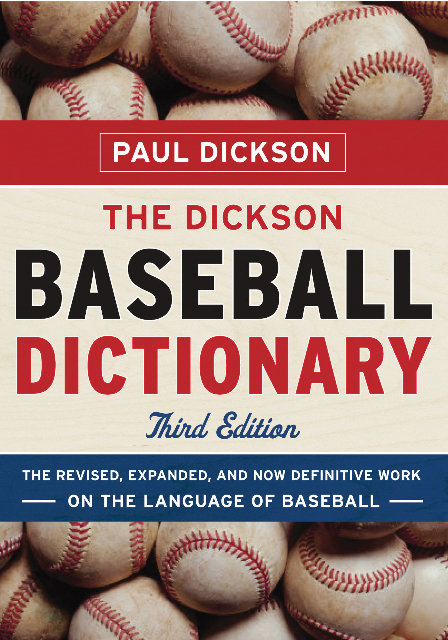 For the record, according to the Dickson Baseball Dictionary, the previous noted first usage of the phrases was in the 1859 publication of the Base Ball Player’s Pocket Companion which was published in Boston. Incidentally, New Bedford is mentioned in the current (3rd) edition of Dickson’s. Under the entry for “season” on pages 753-754 the November 26, 1858 Evening Standard is quoted as an example. For all of you that are eager to get a look at this volume it looks like only one library in the area will be getting a copy of it. According to the library catalog the New Bedford Free Public Library has a copy on order.